Jupiter residents live in one of the most popular Florida cities. Our homes and neighborhoods are often used as examples that attract hundreds of new residents each year. Despite the appearance of perfection, we are all still vulnerable to fires and other disasters. For eliminating fire damage to your Jupiter home, Express Emergency Services is your one-stop agency for cleanup and restoration. Other companies specialize in one or the other, but our technicians and other specialists can perform every task from removing ruined carpets to replacing a damaged ceiling. 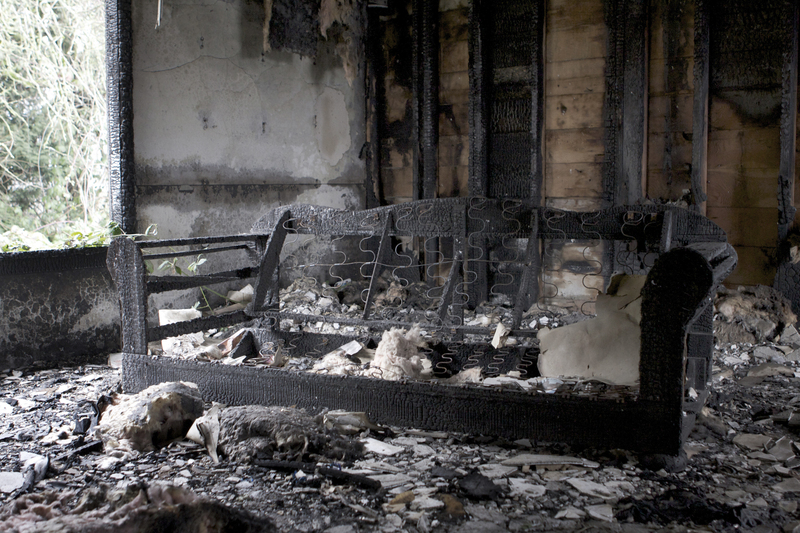 A fire can move rapidly through a home, so a rapid response to eliminate the effects is very important. A team member can be at your home an hour after you call us to begin inspection and determine our first actions. Between the fire itself and actions taken to extinguish it, there is often a large amount of debris requiring disposal. Our goal here is to remove everything quickly with minimal interruption to you and your neighbors. If there is an HOA, a member of our staff contacts them to make certain we meet their requirements for items like size restrictions for a temporary dumpster or the hours our crews and trucks can be outside your home. Insurance companies have a list of items they prefer to replace instead of restore. If an item (an old, four-poster bed for example) has sentimental value and you prefer not to dispose of it, we can make restoration efforts, but we cannot guarantee the results and the insurance company may not cover the cost. With removal underway, Express Emergency crews begin cleaning. 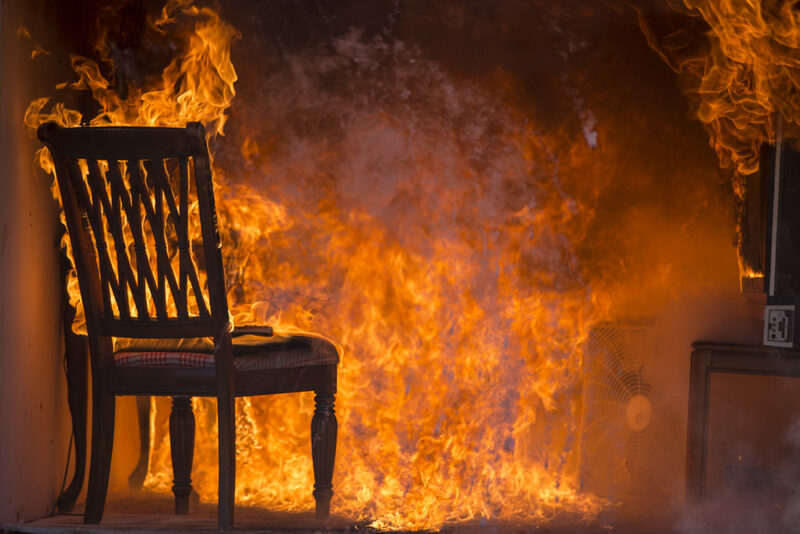 Eliminating smoke residues can help preserve personal property, but the hardest effect of fire damage to remove are the odors left behind that can penetrate everything from upholstery to drywall and wood framing. Our crews have access to everything from counteragents to cover up mild odors, to ozone producing devices that can generate a gas which penetrates affected property to the same level as the original odor particles. As crewmembers eliminate the effects of the fire, others start rebuilding. Our carpenter specialists can replace everything from interior walls to major structural supports. 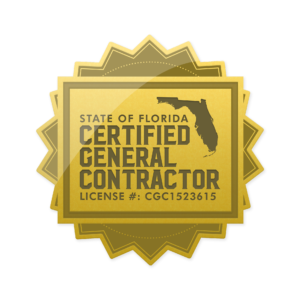 As a certified general contractor, we can even demolish a scorched and burned roof and then build a new one that meets all state requirements for new construction. At Express Emergency Services, we have helped hundreds of Jupiter residents rebuild and restore their homes for over two decades. If you have had even a small fire recently, contact us at 561-513-5977 to schedule a visit and find out what we can do for you and your home. Click here for more information about Jupiter.